 WORKING PAPER Nr. 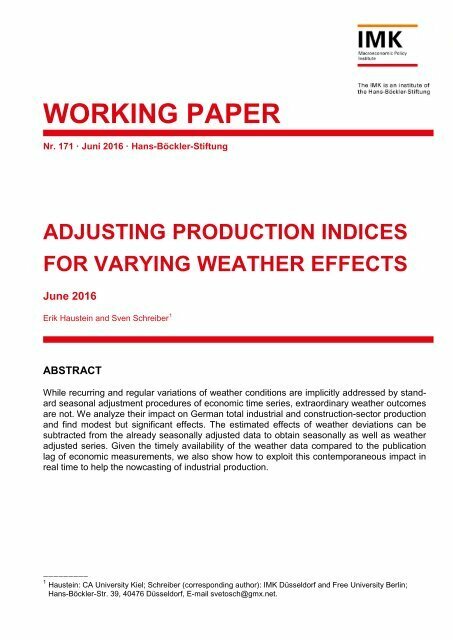 171 · Juni 2016 · Hans-Böckler-Stiftung ADJUSTING PRODUCTION INDICES FOR VARYING WEATHER EFFECTS June 2016 Erik Haustein and Sven Schreiber 1 ABSTRACT While recurring and regular variations of weather conditions are implicitly addressed by standard seasonal adjustment procedures of economic time series, extraordinary weather outcomes are not. We analyze their impact on German total industrial and construction-sector production and find modest but significant effects. The estimated effects of weather deviations can be subtracted from the already seasonally adjusted data to obtain seasonally as well as weather adjusted series. Given the timely availability of the weather data compared to the publication lag of economic measurements, we also show how to exploit this contemporaneous impact in real time to help the nowcasting of industrial production. ————————— 1 Haustein: CA University Kiel; Schreiber (corresponding author): IMK Düsseldorf and Free University Berlin; Hans-Böckler-Str. 39, 40476 Düsseldorf, E-mail svetosch@gmx.net.